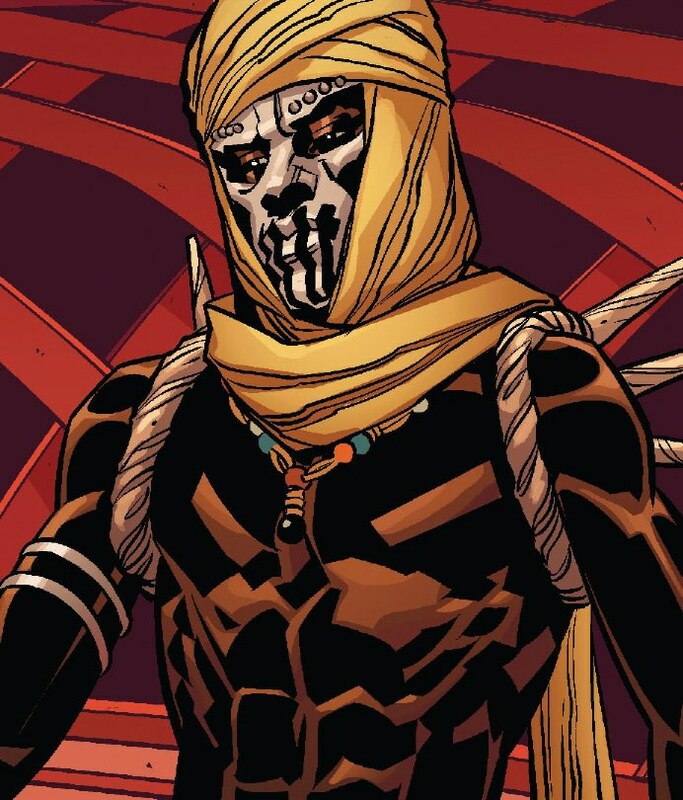 Tetu is a villain of the Marvel hero the Black Panther. Tetu appears as a member of the terrorist / liberation group known as "The People" who challenge the authority of the Wakandan monarchy. 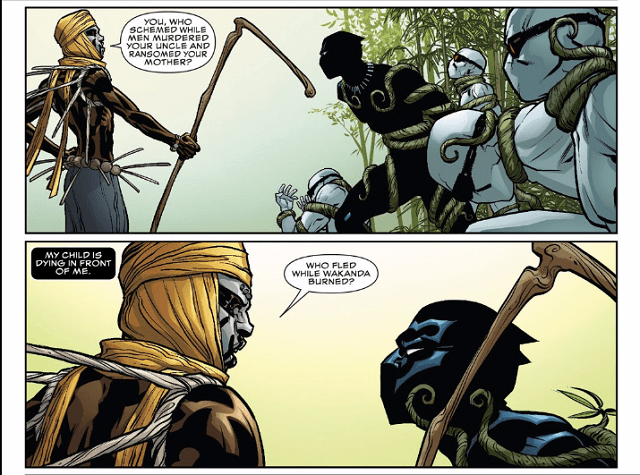 He first appears in the 2016 Black Panther series by Ta Nehesi Coates and Brian Stelfreeze. Tetu sought out his old teacher Changamire to gain an ally in his cause. However, Changamire turned him down. Zenzi created a riot where there was violence between the Wakandan people and government authorities. She fled and escaped when T'Challa arrived on the scene. 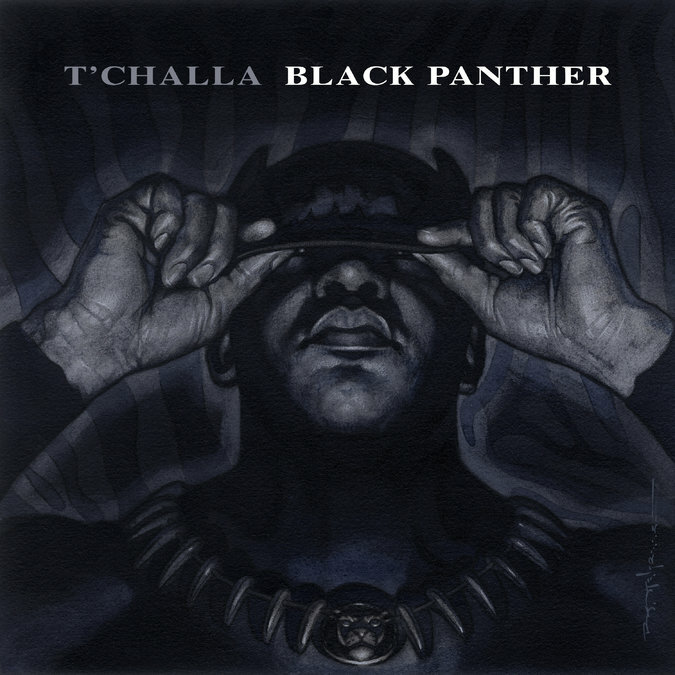 T'Challa hunts down Tetu and Zenzi. He slams Zenzi into a tree knocking her unconscious. The Hatut Zeraze (Wakandan Secret Police) storm the area and the militia members of the People are defeated. Tetu reveals he has the power of controlling vegetation which hes uses against Wakandan authorities. He picks up Zenzi and carries her away. Tetu and Zenzi are seen meeting the Midnight Angels who are reluctant to join with Tetu. They seem to be creating their own unique movement. Tetu and Zenzi are seen meeting with Ezekiel Stane. Together they begin to turn volunteers into human bombs to conduct terrorist bombings in Wakanda. They also video tape and distribute the damning words of one of the tyrants brought into consult with T'Challa on how to stamp down rebellions. The words and video are edited to be taken out of context but then distributed and broadcast throughout Wakanda making T'Challa seem even more out of touch with his own people. Tetu has gained the ability to talk to nature spirits that allow him to control vegetation. #BlackPanther, #BlackPanther2, #Marvel, #MCU, #Tetu, Will Tetu be the villain of Black Panther 2?